Editor’s Note: This is the first in a series of essays that will build a framework for engaging areas of social conflict that also manifest themselves on campus. If you are interested in contributing in some way to this series, email us at editor@cccu.org. Several years ago, my husband and I were provided with the opportunity to visit Sweden. One day as we meandered through Gamla stan, Stockholm’s old city, we came upon the former Stock Exchange Building. Like many old buildings of its time, the building had been repurposed and had now become, among other things, home to the Nobel Prize Museum, recognizing the individuals or organizations who had received one of the prestigious awards in the fields of physics, literature, physiology, economics, and chemistry, as well as the Nobel Peace Prize. Amidst the names of luminaries who have received these extraordinary prizes was the name of one Nobel Peace Prize recipient whose life had so greatly impacted mine: the Reverend Dr. Martin Luther King Jr. As we stood in front of various airtight boxes that sheltered the artifacts that celebrated King and so many others, I remembered my visit to another museum in Atlanta, Georgia, that chronicled King’s life and his faithful commitment to nonviolent peace and justice initiatives, the Martin Luther King Jr. Center for Nonviolent Social Change. Sooner or later, all the people of the world will have to discover a way to live together in peace, and thereby transform this pending cosmic elegy into a creative psalm of brotherhood. If this is to be achieved, humanity must evolve for all human conflict a method that rejects revenge, aggression, and retaliation. The foundation of such a method is love. This is not an antiquated idea, but rather one that deserves re-examination and application for a 21stcentury America still embroiled in bitter battles drawn across racial, socioeconomic, political, gender, religious, and cultural lines. In a 2013 chapel address at Bethel University, some 50 years after that soul-rousing speech, King’s youngest daughter, the Rev. Dr. Bernice King, gave an equally impassioned address to our community. She articulated the need for a younger generation to commit themselves to the cause of becoming peacemakers and peacekeepers – not simply as a means to continue the legacy of her father, but also in honor of the King of Kings, our Lord and Savior, Jesus Christ. I would suggest that her words, as those of her father, remain as true for us in the CCCU today as the day they were spoken to students at Bethel. 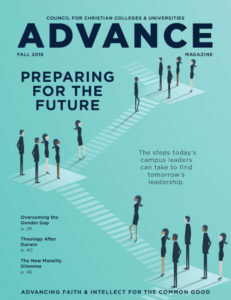 Christian colleges and universities have been given a unique and special call to cultivate more than brilliant minds – we have also been given the responsibility of developing next-generation leaders who will possess the kind of faith, courage, strength, and integrity that can transform the world. We must cultivate in our students a dogged determination to love faithfully and to take the One who is our Prince of Peace with them as they go out into a world in desperate need of soul and spirit transformation. 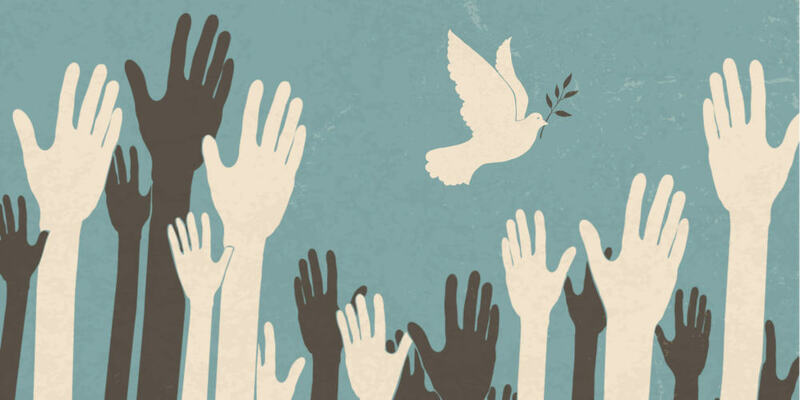 Jesus declared in Matthew 5:9, “Blessed are the peacemakers, for they shall be called children of God.” But what does it mean for us to be peacemakers today? What can believers in the Lord Jesus Christ do to impact the world around us as we look out at the landscape fractured by violence, hunger, brokenness, and desperation? We must be made right with God. Christ’s sacrifice on the cross brought reconciliation between God and humankind. Because of the sacrifice of Jesus, which has brought peace, we now have the extraordinary privilege of being ambassadors of Christ, compelling others to be made right with God. To share Christ – to bring others out of darkness into His marvelous light – is peacemaking. Being a peacemaker means that, in spite of all the unrest and trouble we see, we must believe that God’s love can change hearts; that our prayers will touch heaven; that our faith can move mountains; that trust in the Lord will sustain us and see us through to the very end. We must not let the loads that we bear individually or collectively, or the attacks that the enemy would wage against us, keep us from remembering the words of Jesus Christ from John 16:33: “These things I have told you so that you will have peace. In this world you will have tribulation, but be of good cheer, for I have overcome the world.” How desperately we need to hold fast to the Father in these days. Laurel Bunker is the associate vice president of Christian formation and church relations at Bethel University in St. Paul, Minnesota.